We still have a long ways to go until Hot Topic’s Black Friday 2019 sale arrives. But you can scroll down the page to check out the details from their last Black Friday sale to get an idea of what’s likely to come. Enjoy! Updated on Friday November 16, 2018: Before Hot Topic’s Black Friday sale goes live in stores next week, they’re giving you early access on their site today! Visit hottopic.com and starting now you’ll be able to pick up all tees site-wide for just $10. Plus all hoodies, jackets and sweaters are BOGO $10, and everything else not mentioned is BOGO 50% off. If that wasn’t enough for you, they also brought back their “Hot Cash” promo where you’ll earn a $15 store coupon for every $30 you spend. Earn the points on purchases made from now through January 15, 2019. Any coupon credits you earn can be spent in stores or online between January 17-27, 2019. The sale details and the very long offer terms are posted in the ad below so be sure to check it out. Good luck and happy bargain hunting! What are you planning on picking up this year at Hot Topic’s Black Friday sale? Let us know in the comments section (you’ll find the comments located at the bottom of this page). Updated on November 24, 2017: Hot Topic has been running Black Friday previews all week so you’re really getting the same deal today as you did a few days ago. And even though the email we just received says “in stores only” we’ve found just about everything on their site as well. Some of this year’s featured offer include tees for $10 (including muscle tees and tank tops), long-sleeve tees for $15, BOGO $10 on all hoodies, jackets, and crews, and buy 2 get 1 free on just about everything else. Most stores open tonight, Thanksgiving day, and will remain open all day on Friday. Online shoppers will qualify for free shipping on orders of $50 or more. If that wasn’t enough, you can also earn “HOT CASH” on all of your in-store and online purchases. Similar to what you’ll see at Kohl’s, you’ll receive a coupon for $15 off each qualifying purchase of $30 or more made from 11/13/17 through 1/16/18. You’ll then be able to use that coupon for purchases made between 1/18/18 through 1/28/18. We’ve posted the official terms and conditions in the flyer below so be sure to check it out for complete details and for offer exclusions. Updated November 24, 2016: Happy Thanksgiving! Besides momma’s turkey dinner today, get ready to shop Black Friday deals, many which are launching today. That includes from Hot Topic that officially went live moments ago! Head on over to their site or your nearest store once they open their doors to pick up 25% off your entire purchase. You’ll also be able to get doorbuster $10.00 tanks and tees, and $15.00 raglans. As always, certain restrictions will apply so check out the flyer below for sale highlights and official terms. Happy bargain hunting! Happy Black Friday everyone!! We are a few hours into the day here and everyone’s got their hot deals live… including Hot Topic’s which were just announced a few moments ago. This year you’ll have a few hours to pick up all tees in store and online for just $10 bucks or everything else storewide at 25% off including all those already discounted clearance items. And on top of all that, you’ll be able to earn $15.00 in Hot Cash for every $30.00 you spend. Stores are now open or you can shop online up until 11:59PM PST today, November 27, 2015. All online shoppers will also receive free shipping. Certain exclusions apply. To shop the sale and for more details, visit their site of your nearest store. Tomorrow’s Thanksgiving, but the Black Friday deals start today. We received the ad scan for Hot Topic’s sale for this year a moment ago and from the looks of it, you shouldn’t miss out on it. Starting now, you’ll get 25% off when shopping online, included an all of their already reduced clearance items. They also have special online doorbuster deals including all t-shirts for just $10.00. And if you spend of $50.00, you’ll get free shipping to your home (no promo code needed!). For those of you heading out to your local Hot Topic store then you’ll get storewide buy-one get-one 50% off (of course that’s on the equal or lesser valued item of the two, and does not apply to any of their Outlet locations). But you better plan your Thanksgiving dinner early because they open their doors at 6:00PM on Thursday afternoon. We’re not not sure if they will be open all night or not so you’ll have to call the location you plan on visiting to get their store hours. All shoppers on Thursday and Friday will also earn $15.00 in HotCash for every $30.00 spent. That means you’ll receive a coupon for $15 off for each qualifying purchase of $30 or more made at Hot Topic stores and hottopic.com, and can be redeemed on a future purchase of $30 or more. 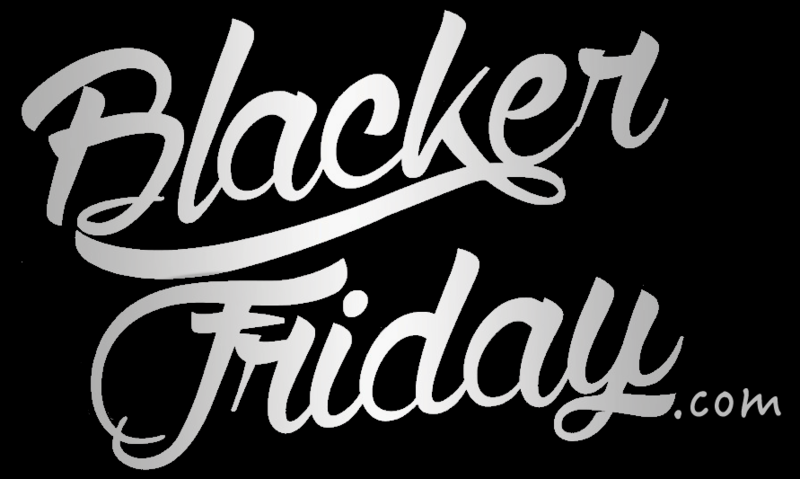 As with all Black Friday sales, certain items are excluded from the sale, including but not limited to vinyl records, DVDs, CDs, body jewelry and gift cards. We’ve posted the full ad down below so you can read up more on this year’s Black Friday sale from Hot Topic along with the rest of the terms and conditions. Hot Topic: Helpful Links & More! Find the nearest Hot Topic store in your neighborhood.